Top White House adviser Steve Bannon has said he would be open to a potential deal in which China persuaded North Korea to freeze its nuclear buildup in exchange for the removal of U.S. troops from the Korean Peninsula. South Korea currently hosts 28,500 U.S. troops that act as both a deterrent to North Korean aggression and a tripwire in the event of war, a scenario that would see forces in Japan, Guam and elsewhere sent into battle. Pyongyang has long sought a peace treaty with Washington — to replace the 1953 armistice — that would see the American forces depart the peninsula. 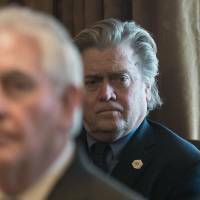 In the interview, Bannon, who has reportedly seen his standing with President Donald Trump fade in recent weeks, also dismissed a military option for dealing with Pyongyang despite Trump’s incendiary remarks that he could unleash “fire and fury” if North Korea continued to threaten the U.S., its territories and its allies with missiles and nuclear weapons. Van Jackson, an expert on North Korea at Victoria University of Wellington in New Zealand, suggested any deal involving the removal of U.S. troops from South Korea would do tremendous damage to the two countries’ alliance. “Bannon seems to be saying (South) Korea doesn’t matter so even if we get something small and temporary it’s worth it because China and the war against Islam are all that matters,” Jackson said. This is “crazy with a capital ‘C,’ ” he added. Some analysts say the removal of American troops could kick-start negotiations on denuclearization, but scores of others say such a move would create a vacuum for more provocative actions by North Korea while also potentially laying the groundwork for an arms race in Northeast Asia. In the interview, Bannon also called the North Korean nuclear crisis “a sideshow” to a larger issue, which he said was an ongoing economic battle with Beijing. 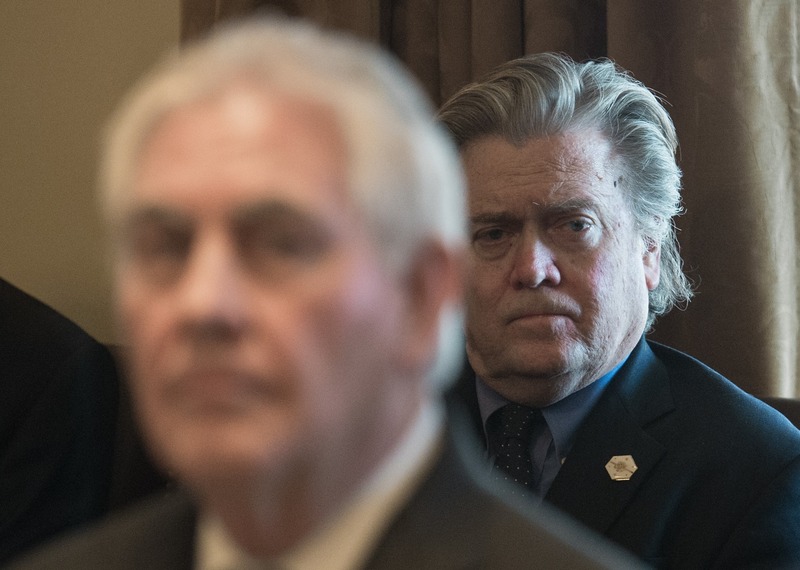 Bannon added that he was battling for the administration to take a harder line on China trade, rather than deferring such a decision in hopes of Beijing first reining in Pyongyang’s nuclear ambitions. The fate of Bannon, a former CEO of the hard-right Breitbart news website, is reportedly up in the air after Trump said Tuesday that the White House would “see what happens with” him.